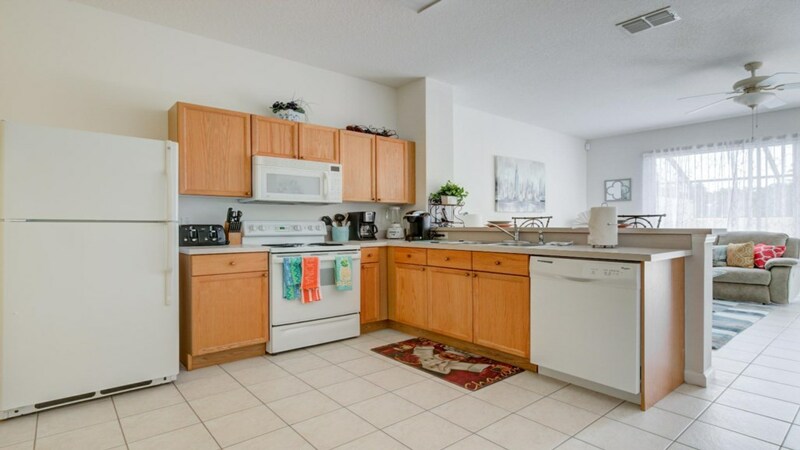 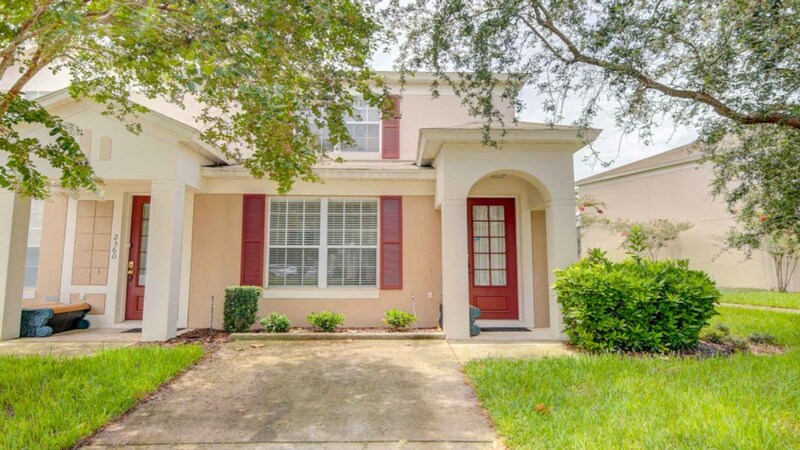 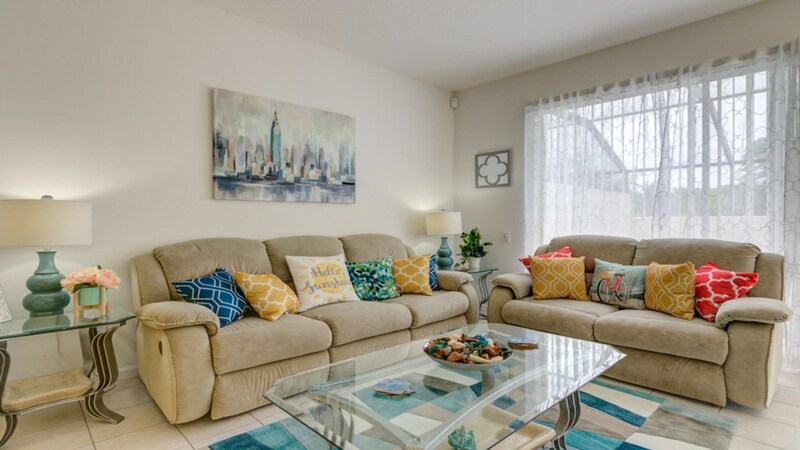 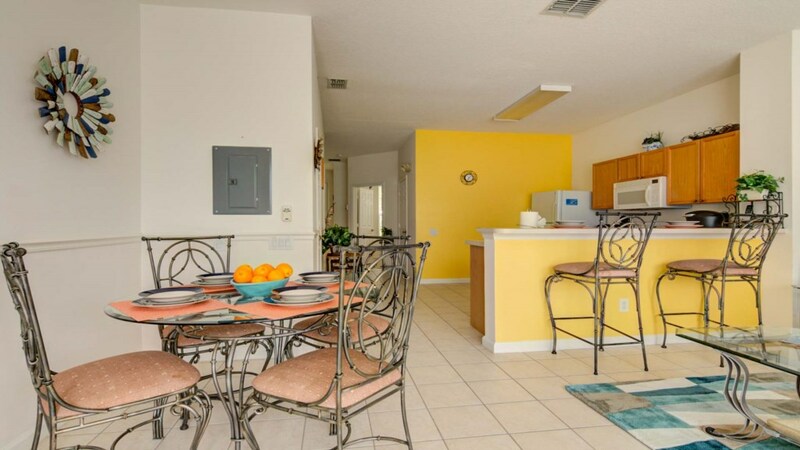 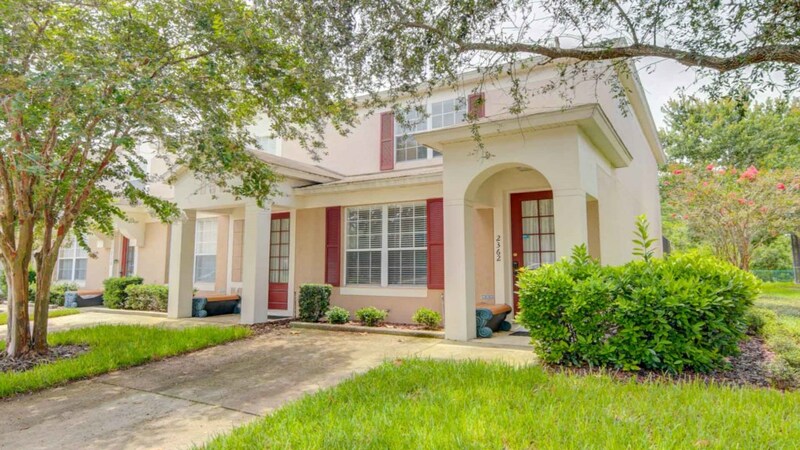 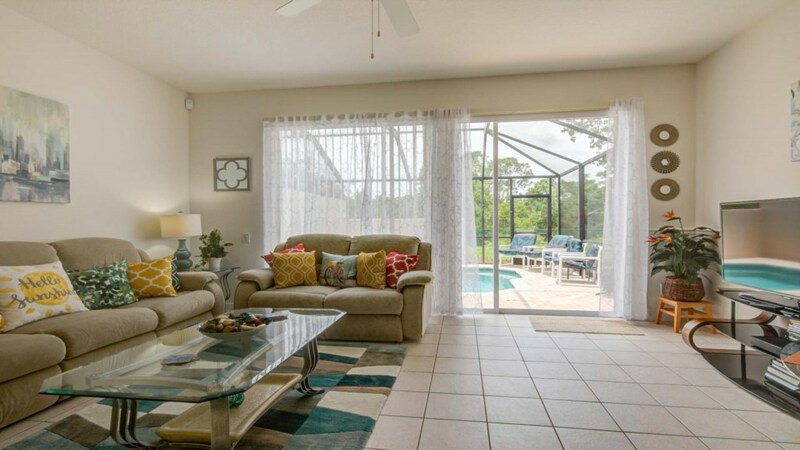 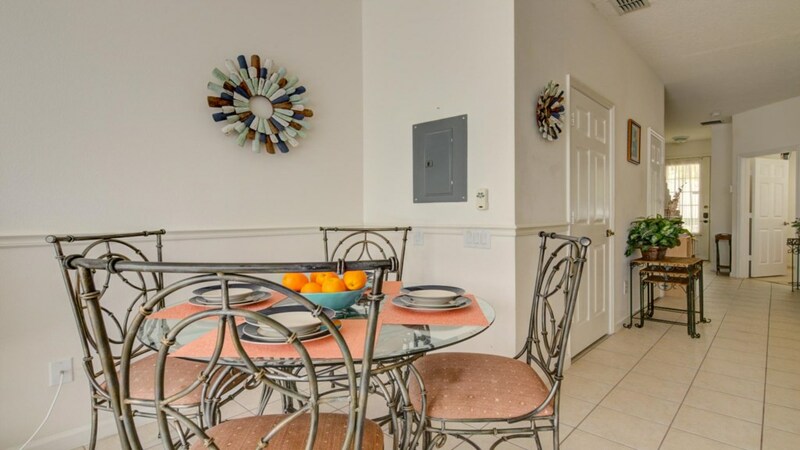 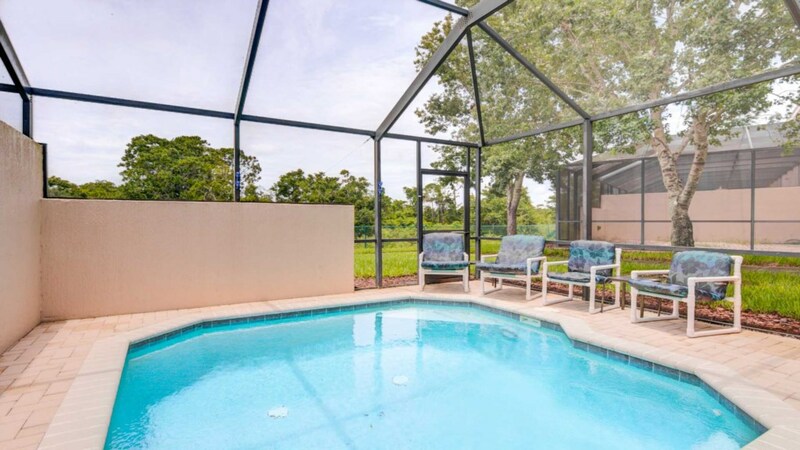 This Windsor Palms Resort Townhouse is the perfect vacation property for your family. 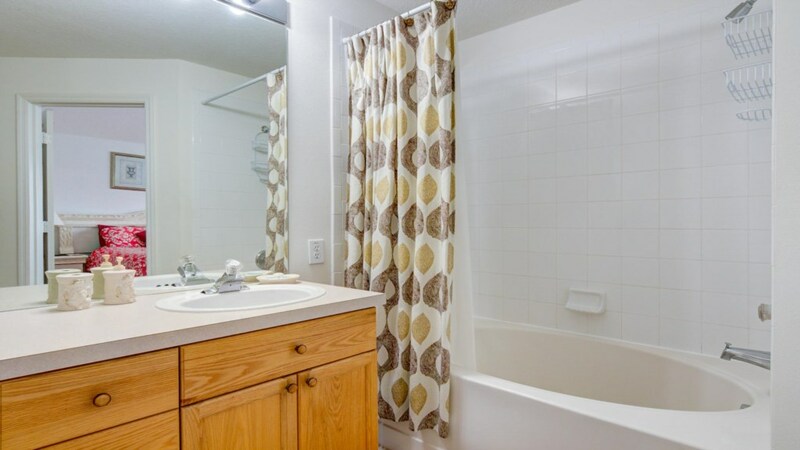 It's 3 Bedrooms, 3 Bathrooms and 1440 square feet. 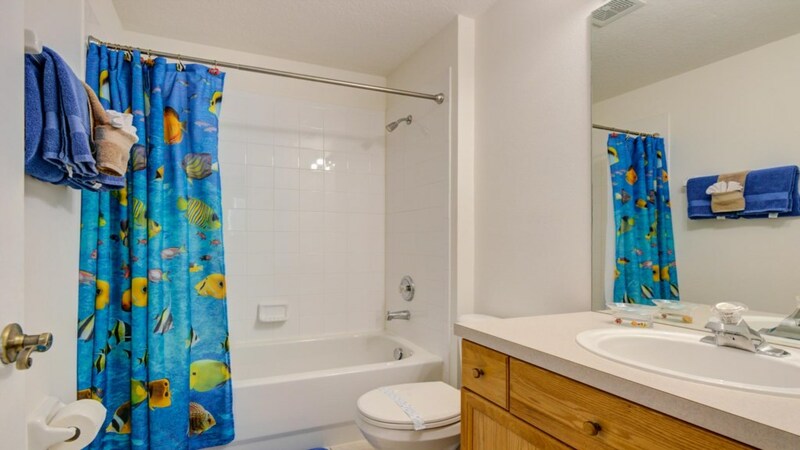 It is a 2-story Townhouse and has it's own private splash pool, so you will have plenty of space for the whole family to enjoy. 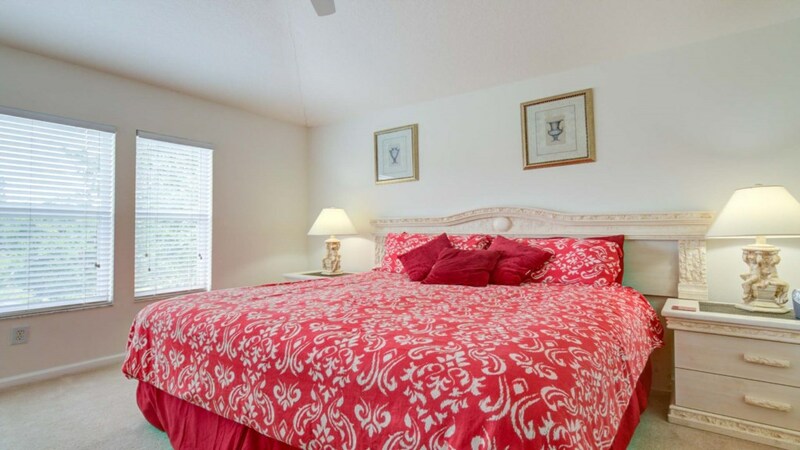 The master bedroom is upstairs and has a king size bed and private ensuite bathroom. 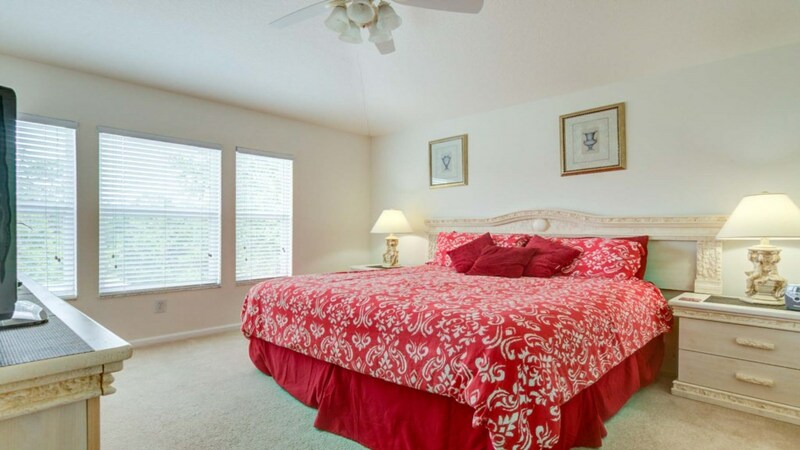 Also upstairs is the bedroom with two twin beds and a guest bathroom. 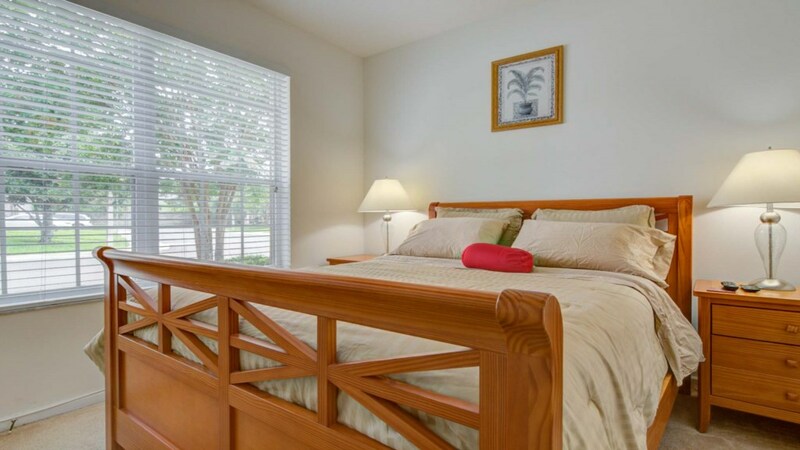 Downstairs is a bedroom with a queen bed and andother shared bathroom. 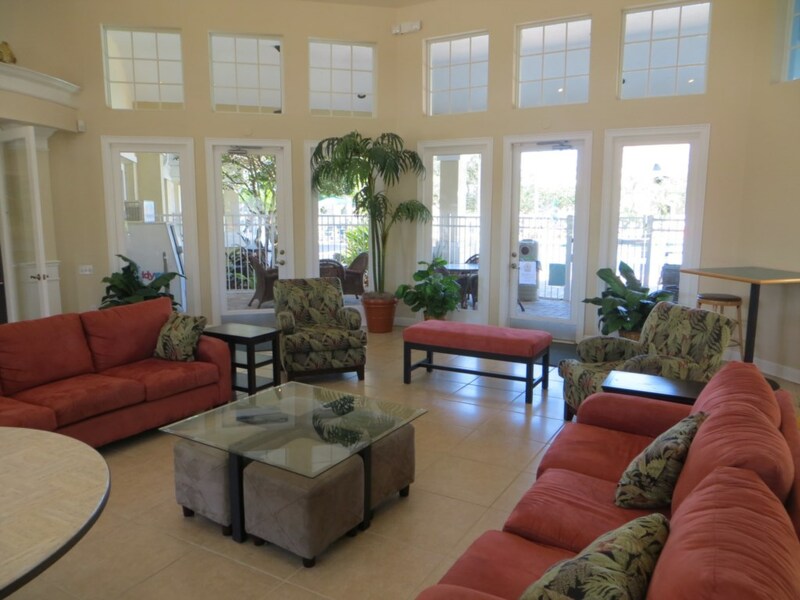 On the first floor you will also enjoy the spacious open floor plan with the kitchen, dining and living room. 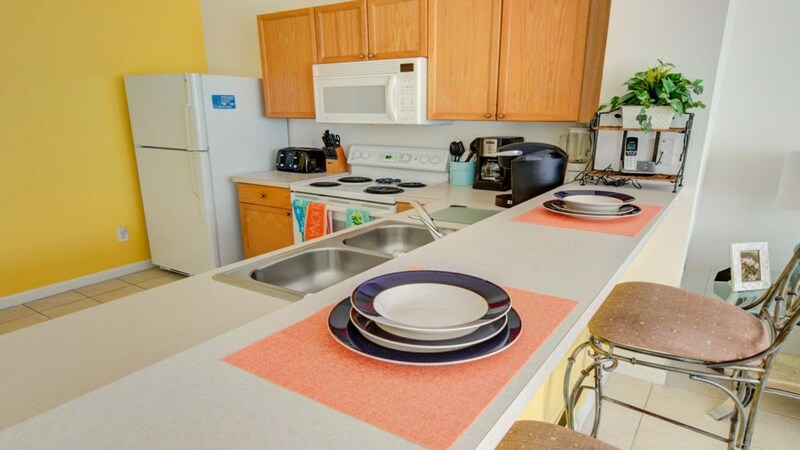 The dining table will seat up to 4 guests and then two additional guests at the kitchen bar. 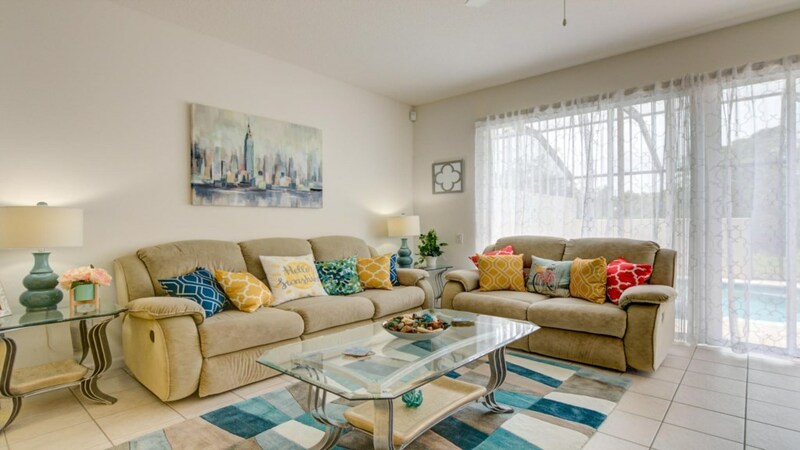 The living room has a plush sofa set, with a 3 seater reclining sofa and a loveseat, decorated with colorful throw pillows. 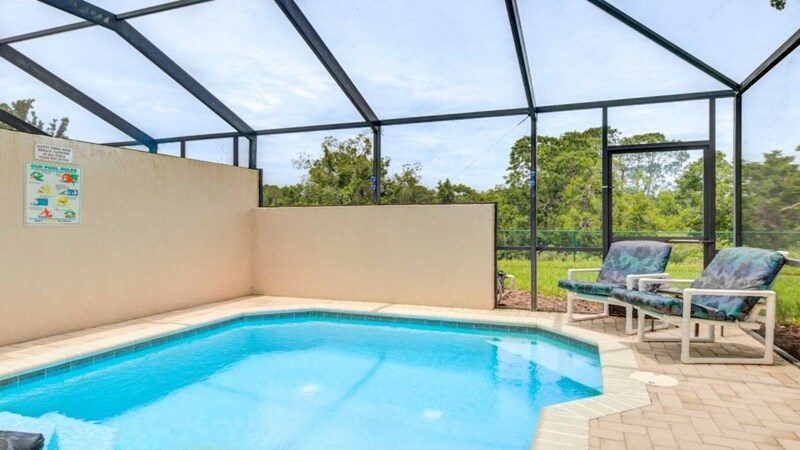 The private, screened in patio area has its own splash pool, which is about 3ft deep. 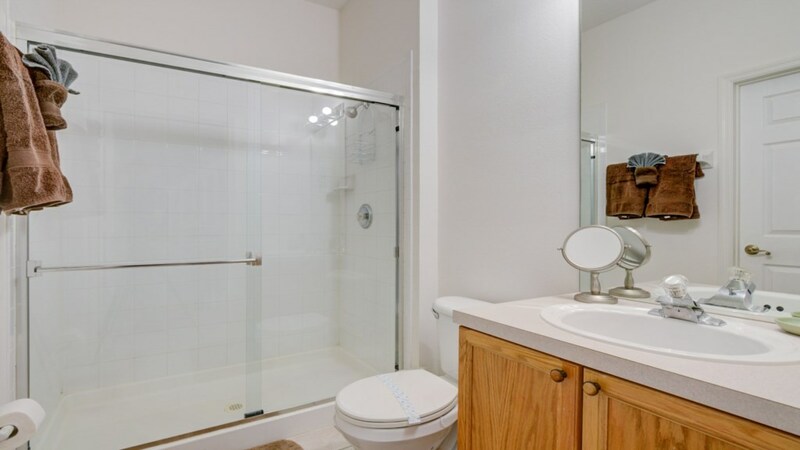 With no rear neighbors, this is great for added privacy. 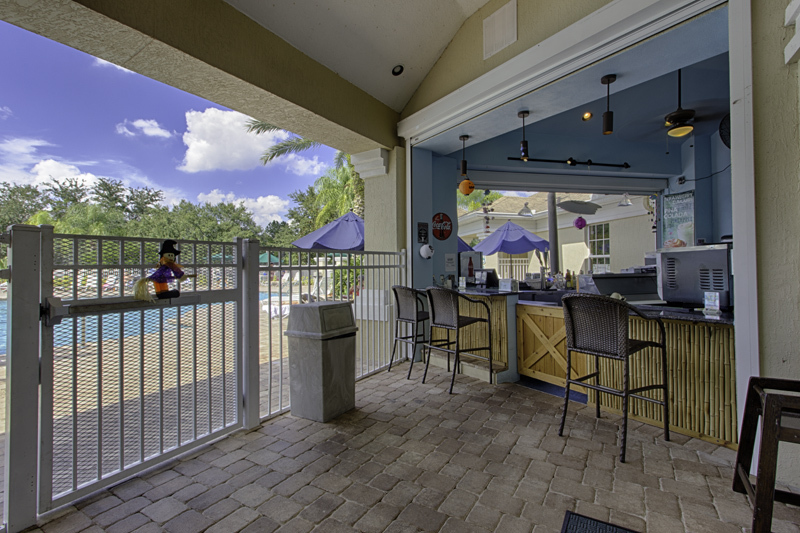 The splash pool can also be heated, during those cooler winter months. 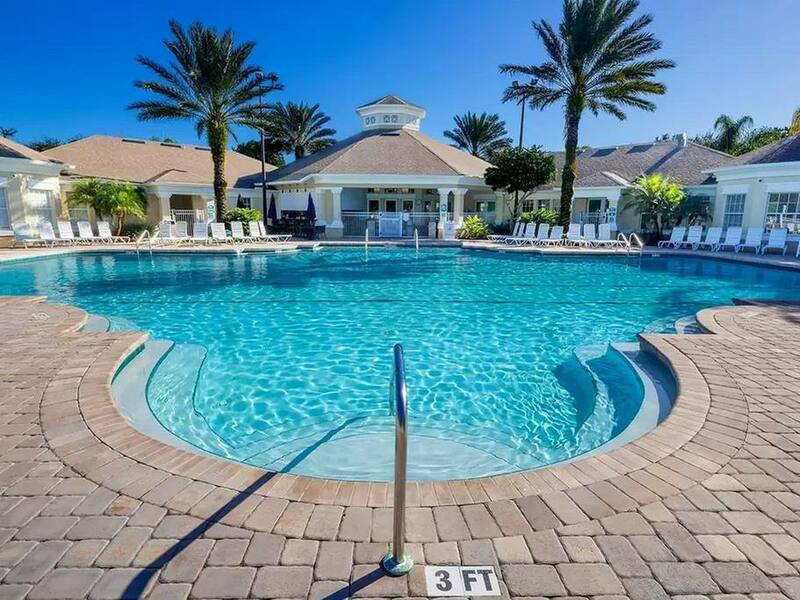 There is an additional cost for the heat of the splash pool. 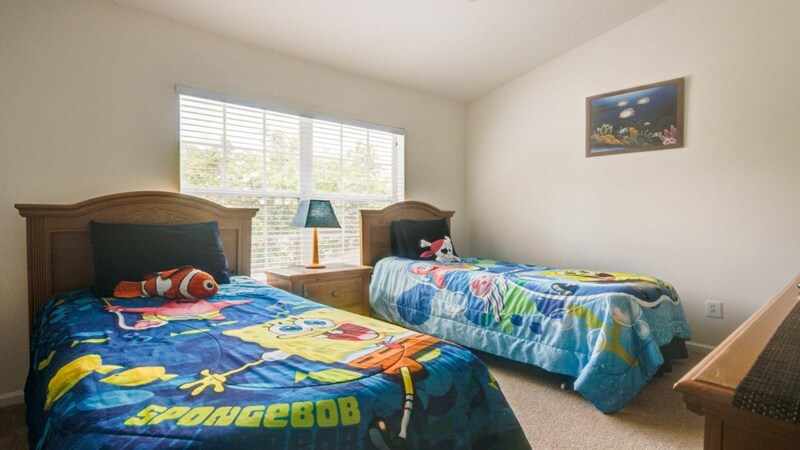 It's $20 per day plus tax. 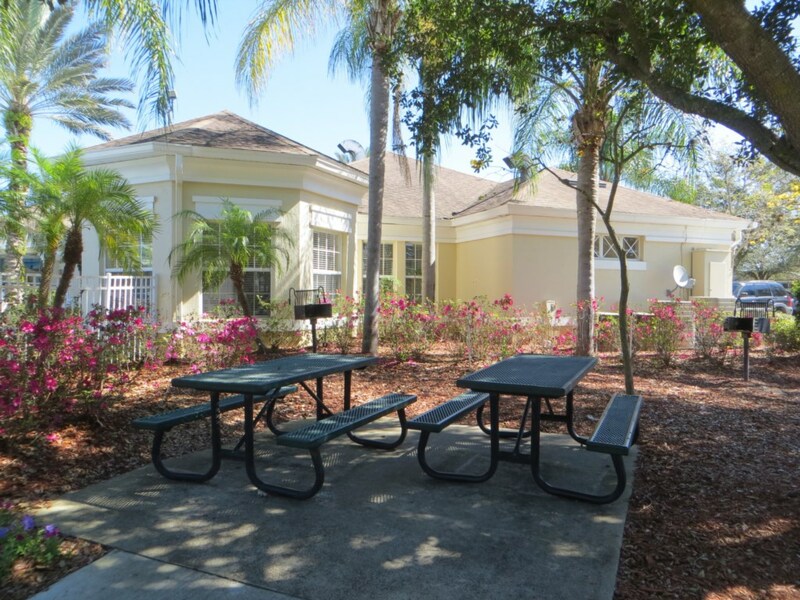 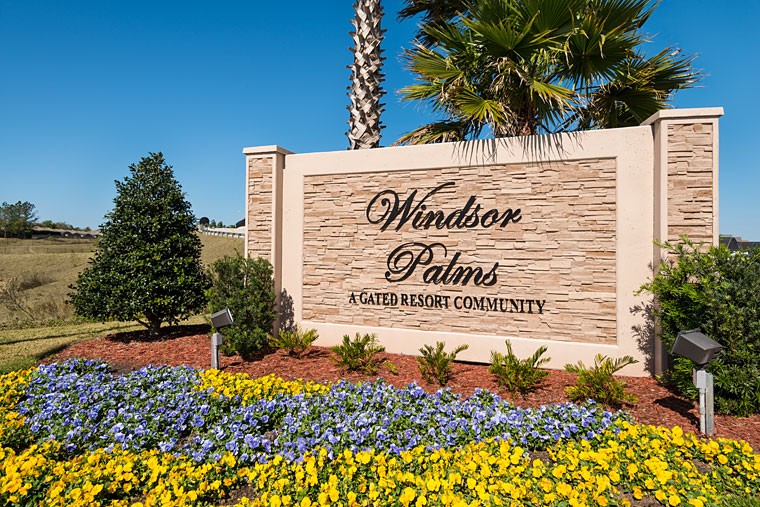 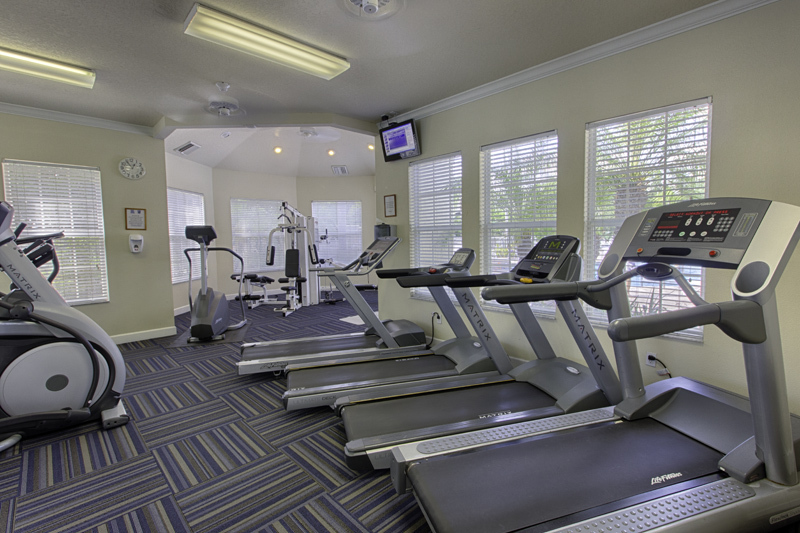 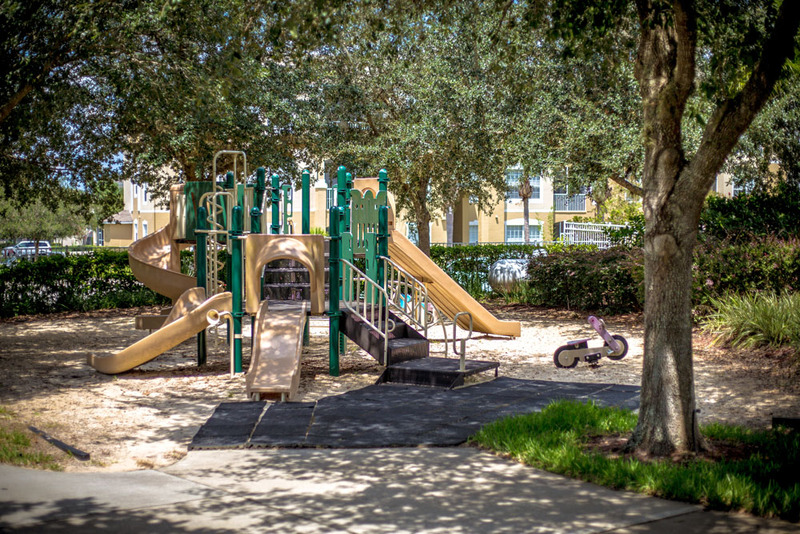 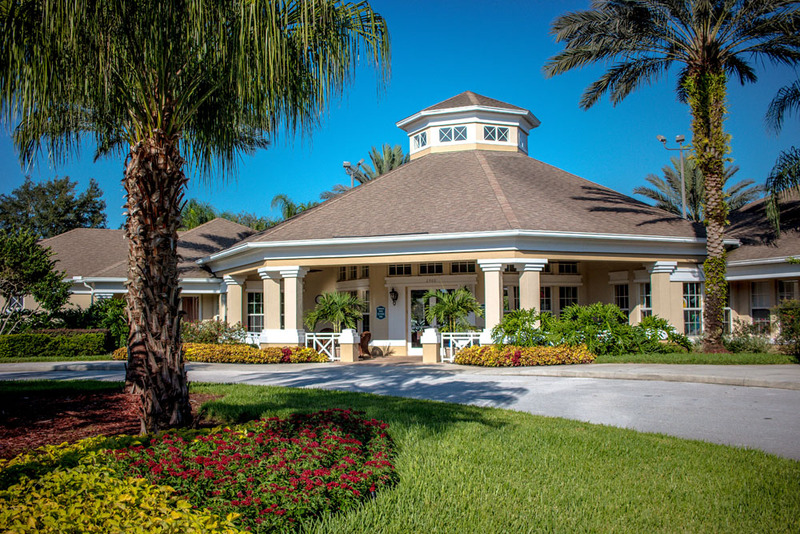 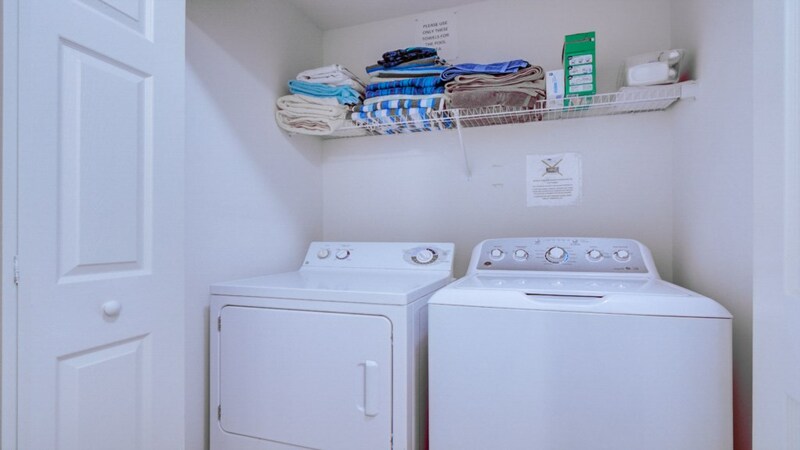 Don't forget about all of the wonderful amenities that Windsor Palms Resort has to offer! 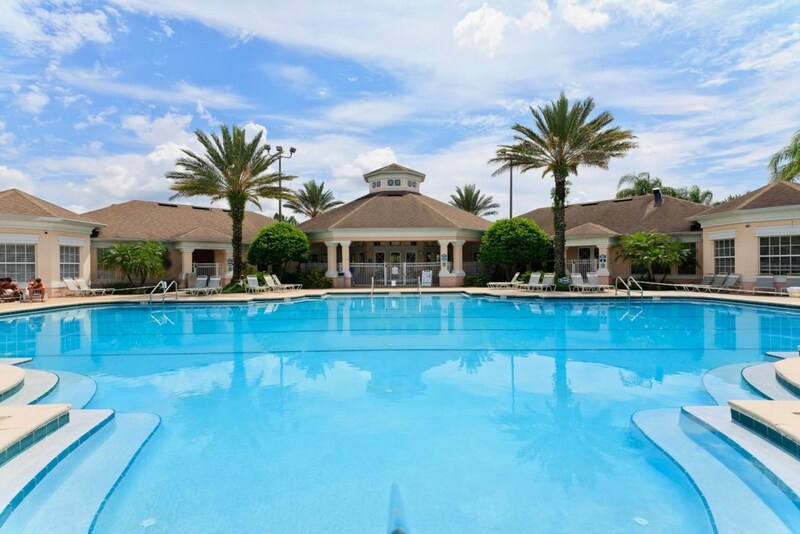 The heated resort pool and hot tub are the perfect place to spend your days. 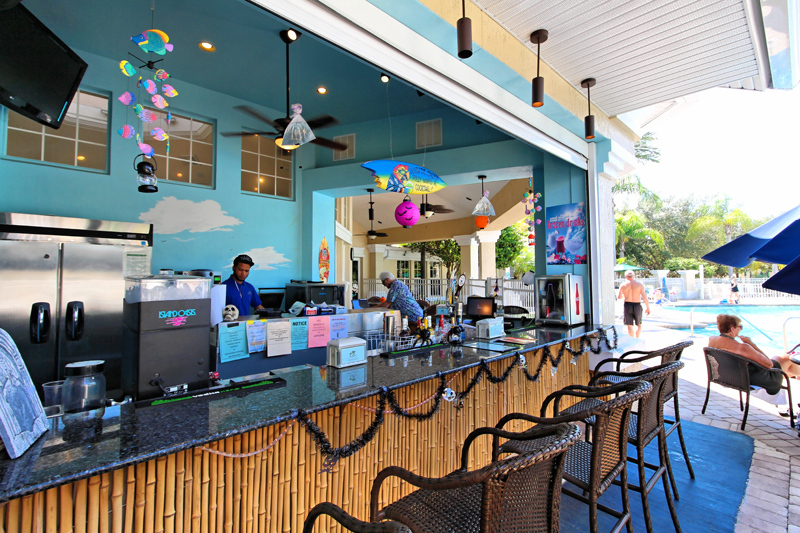 Lounge in the Florida sun and enjoy the outdoor tiki bar. 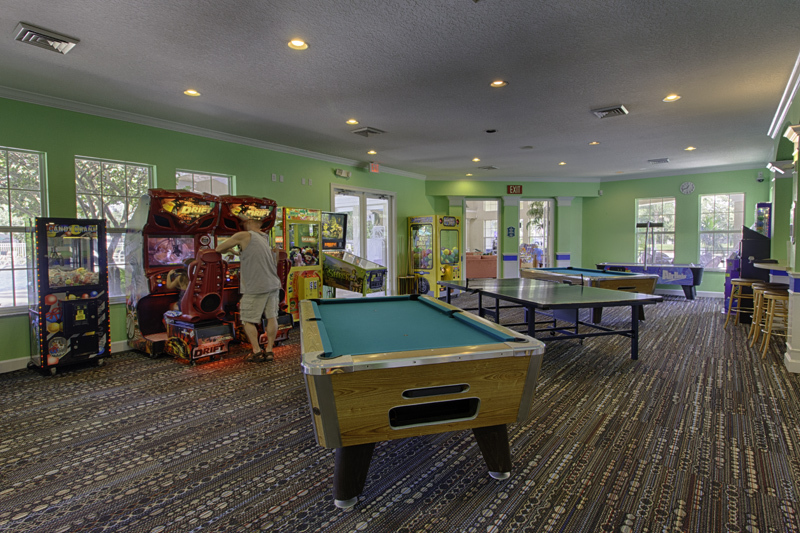 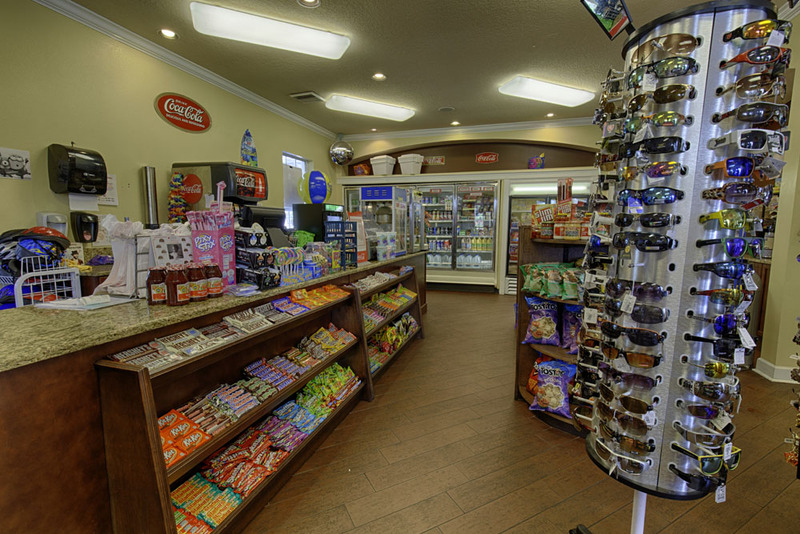 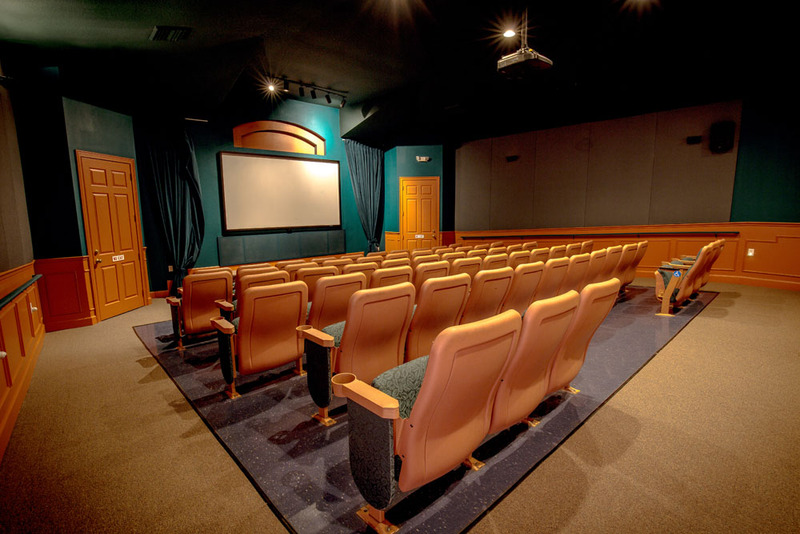 Inside the clubhouse, there is a fitness center, movie theater, arcade game room and convenient store. 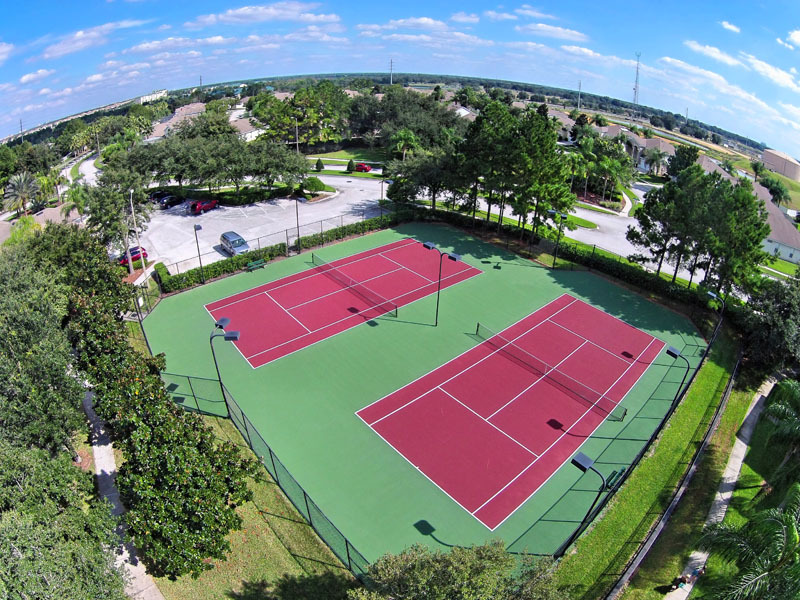 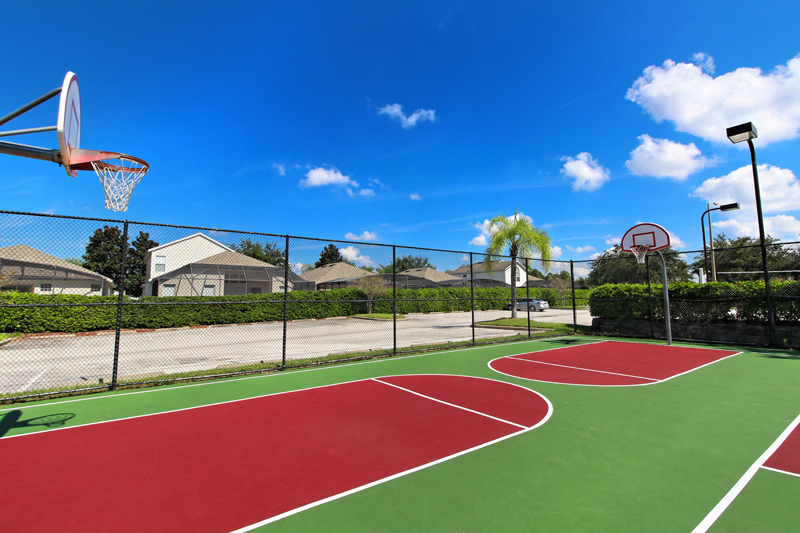 Also within the resort, there is a children's playground, picnic area, tennis court and basketball court. 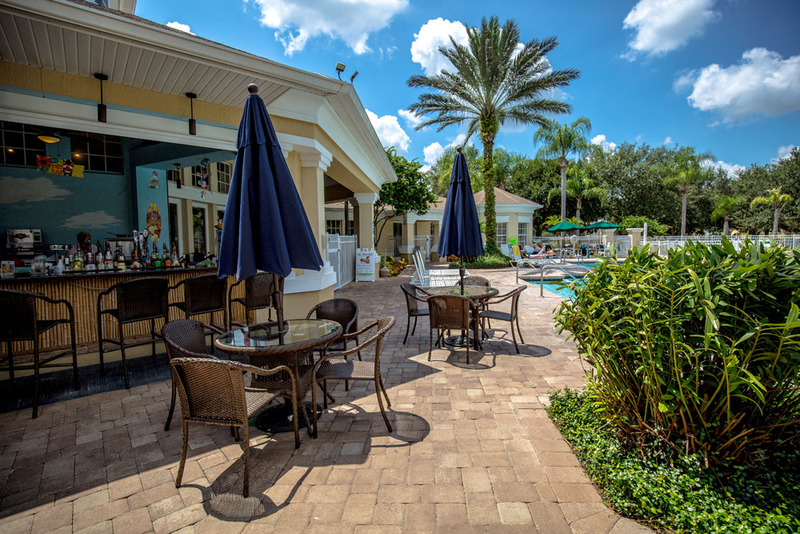 You'll want to make sure that you plan in your vacation scheduled, an entire day just to spend within the resort. 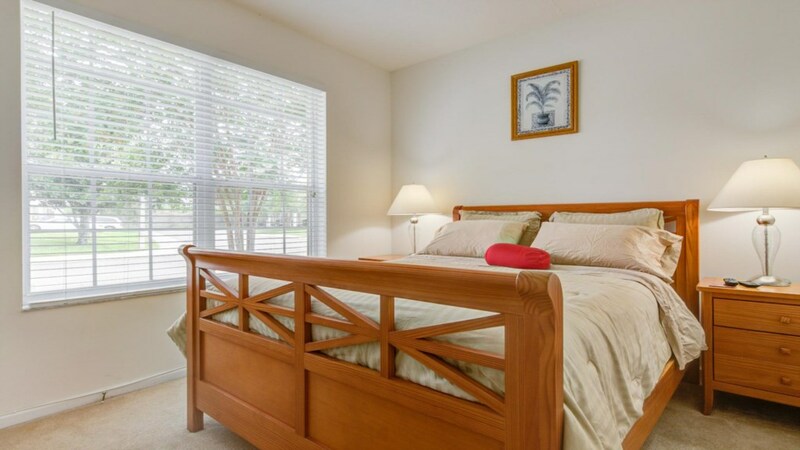 Windsor Palms Resort Townhouse is the best "Home Away From Home"!